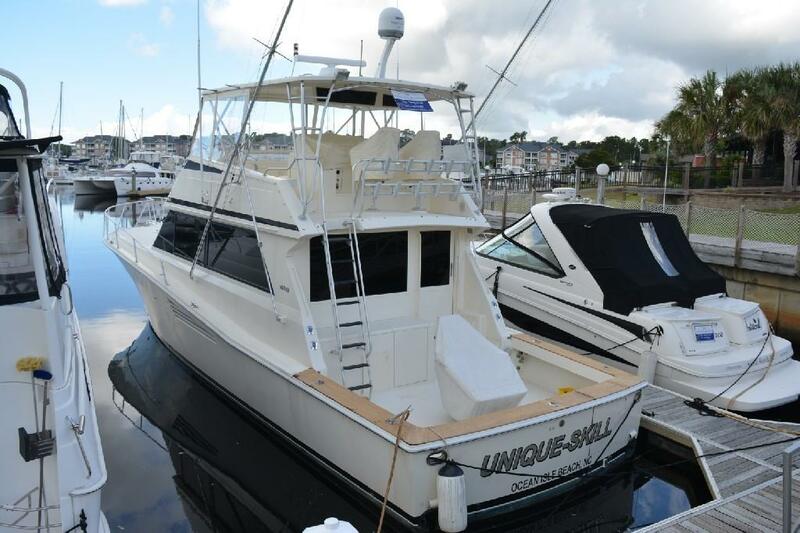 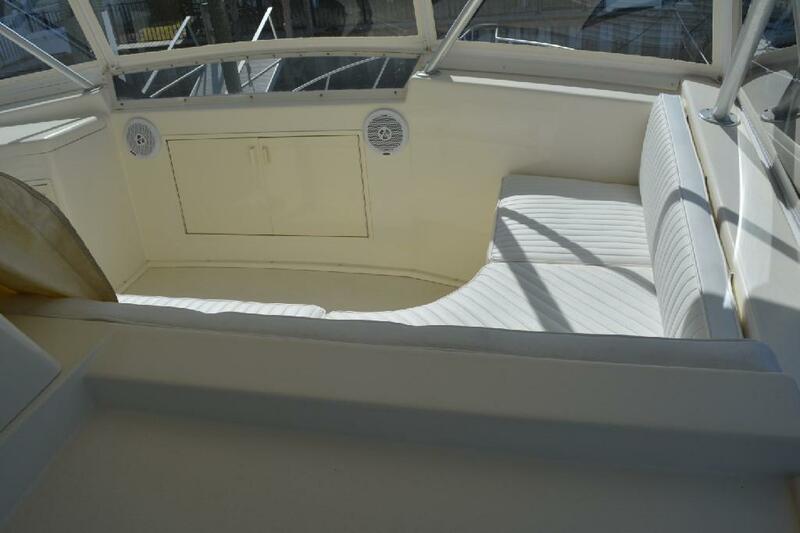 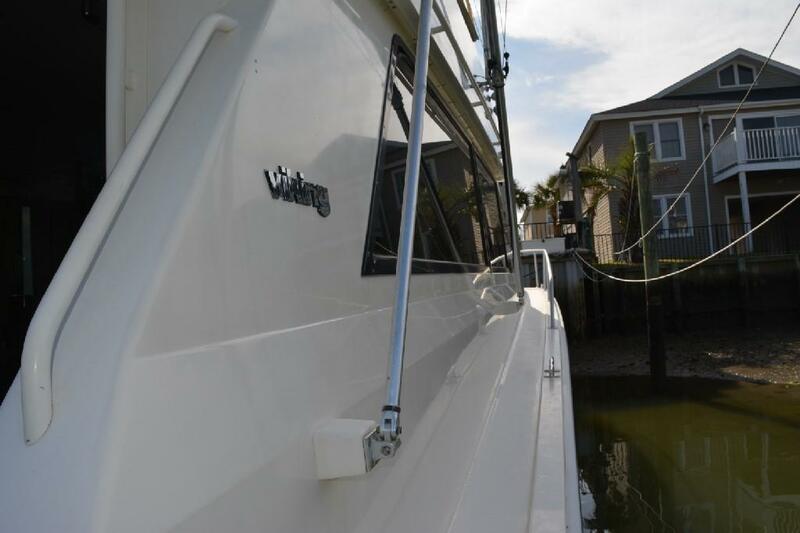 The term "Meticulous Owner" is sometimes overused, but in the case of this Viking 53 Convertible it is almost inadequate! 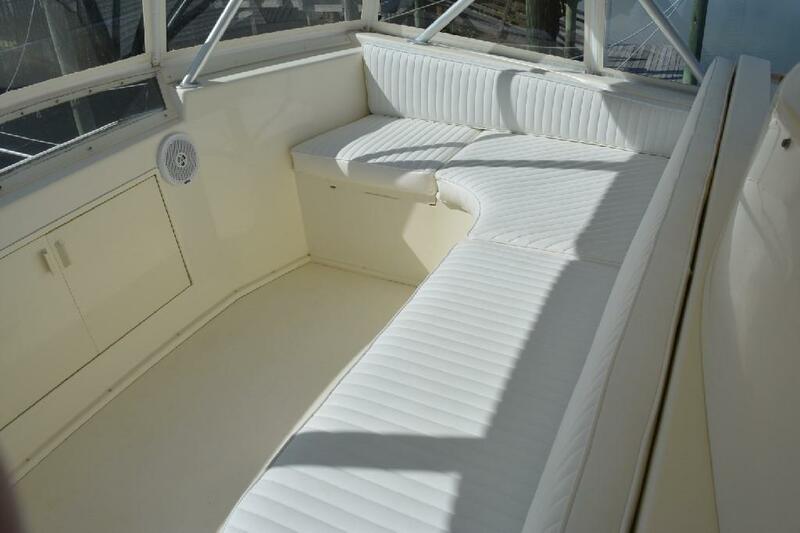 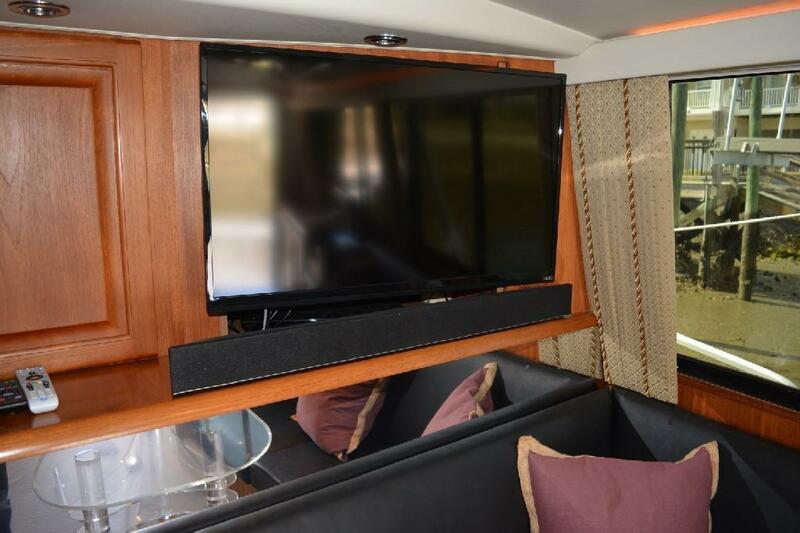 The list of new improvements to this classic Viking Convertible is very long and includes all of the right things! 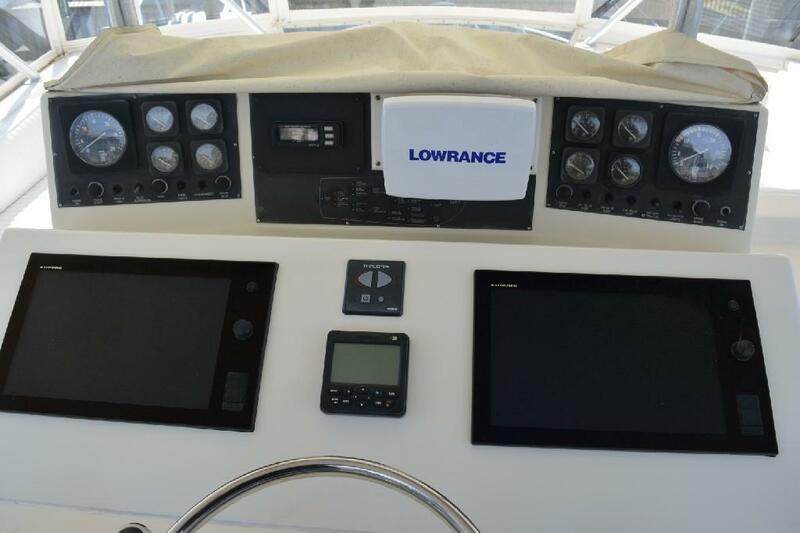 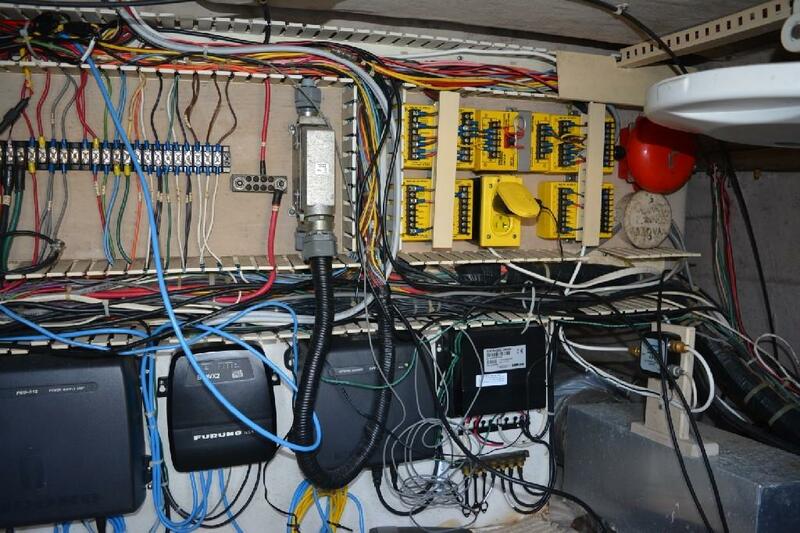 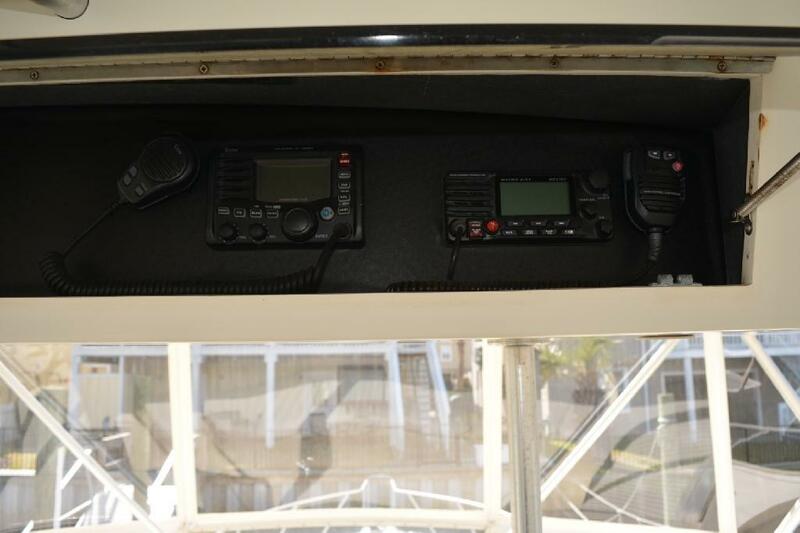 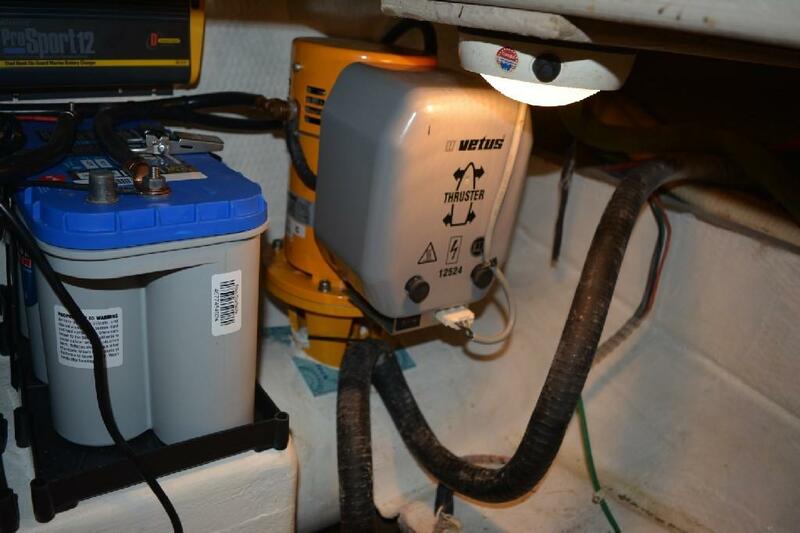 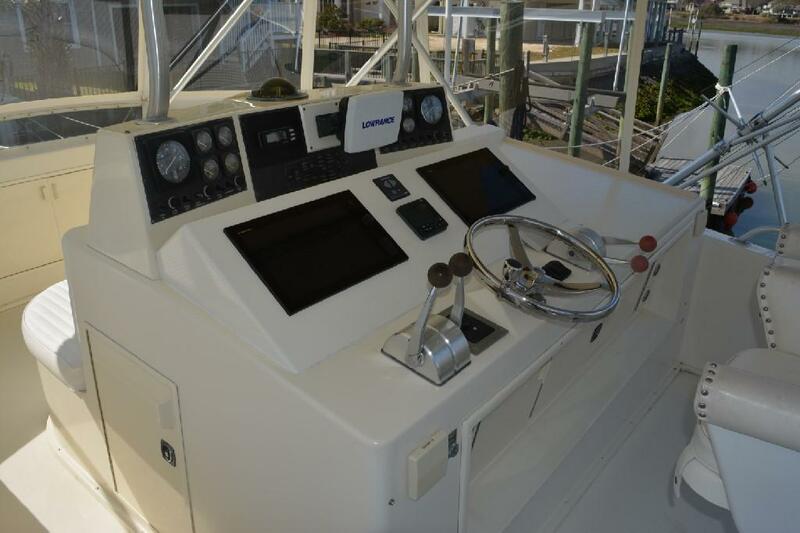 This long list includes a new Macrolon Bridge Enclosure ( 2017), updated Furuno Electronics (2015), a Vetus Bow Thruster (2016), Trac Vision (2016), Windlass (2015) along with much more! 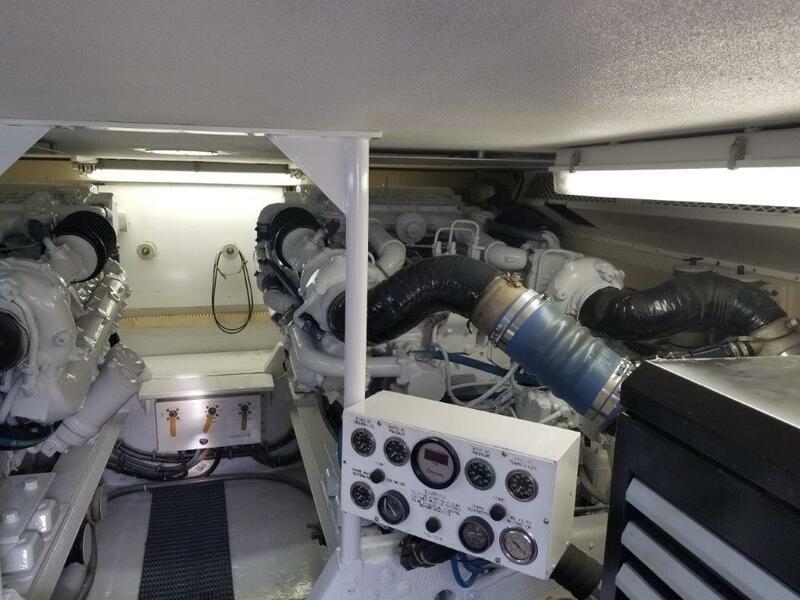 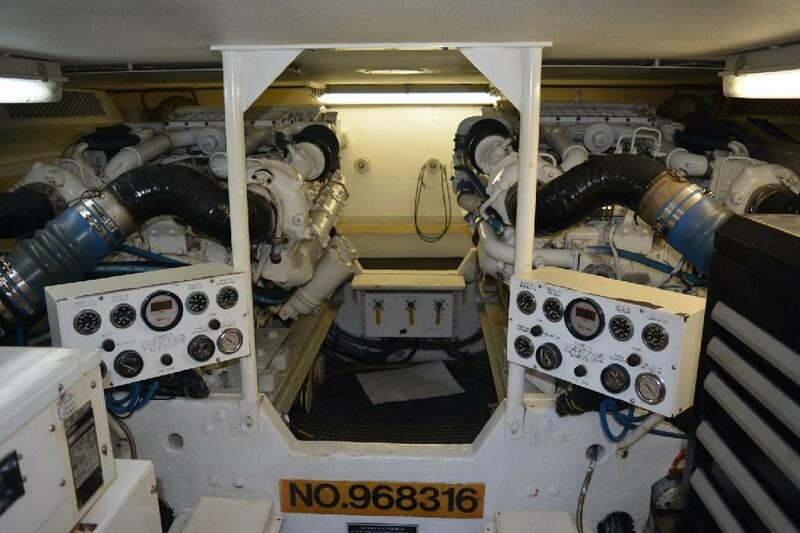 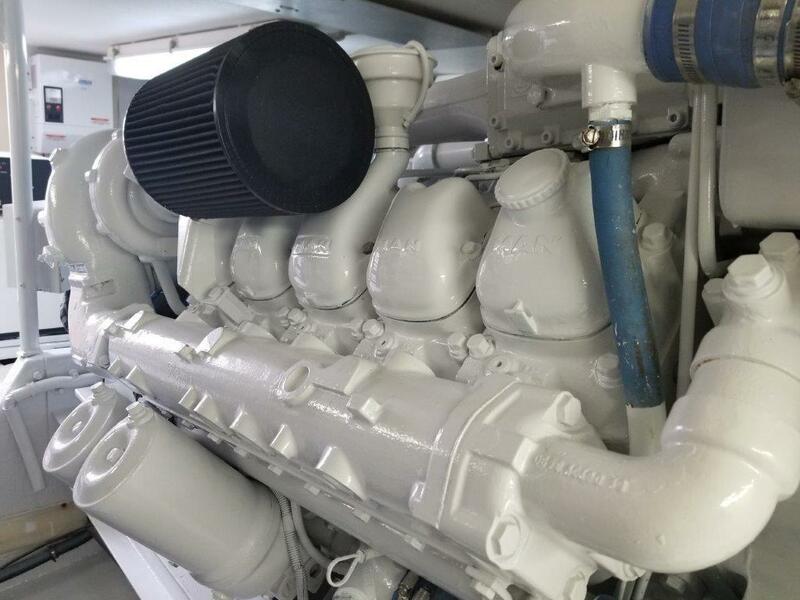 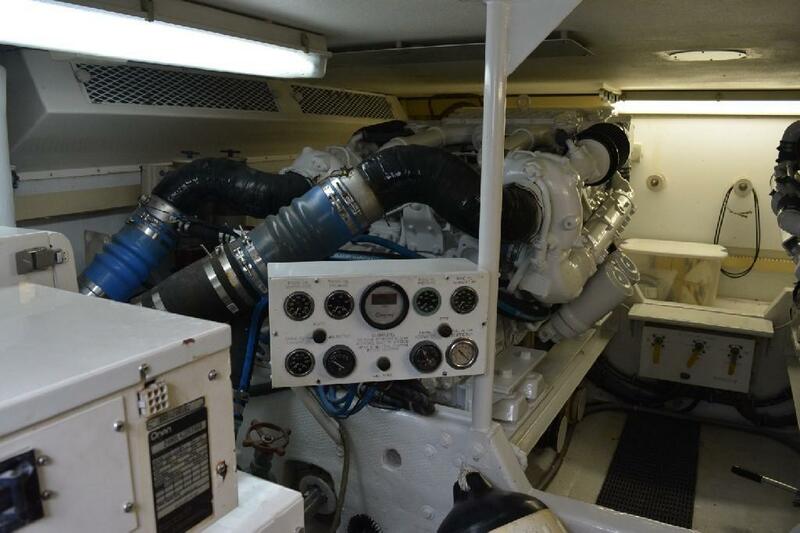 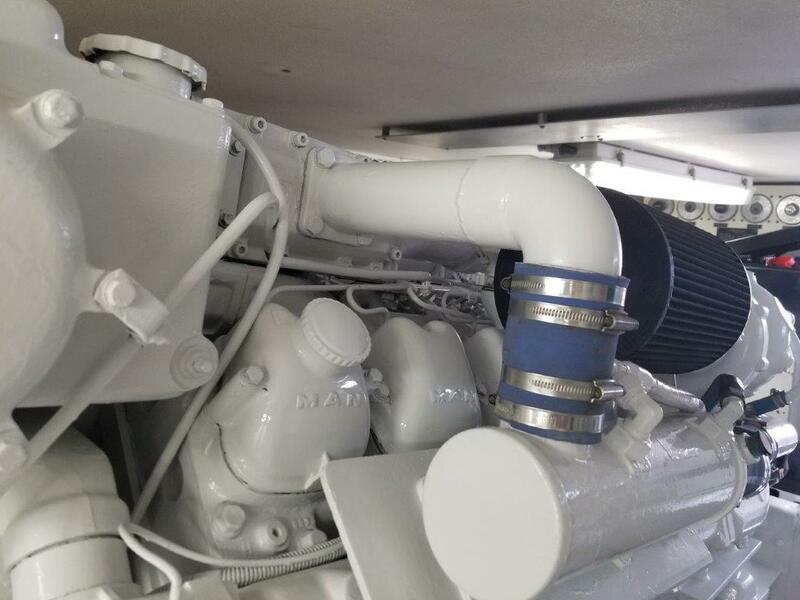 She is powered by a pair of 840 HP MAN Diesels with a recently completed 1000 Hour service, giving her a comfortable and dependable 26 knot cruise. 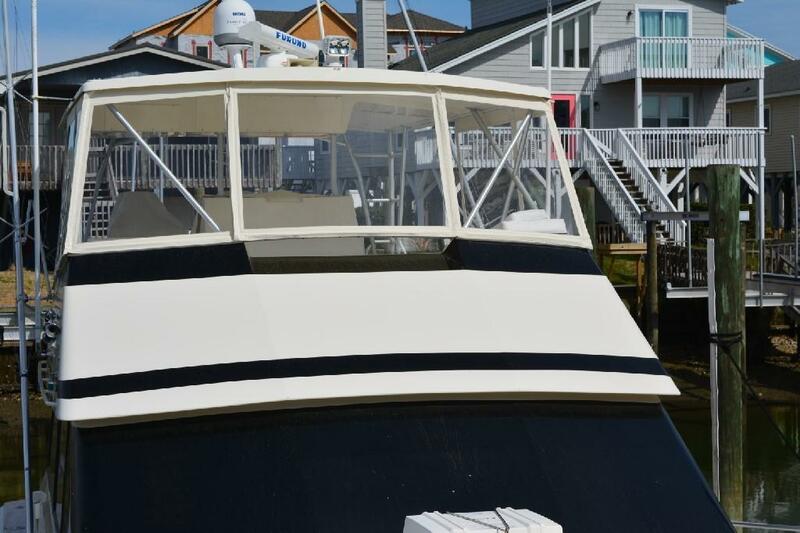 This boat stands very tall and Will Not Disappoint! 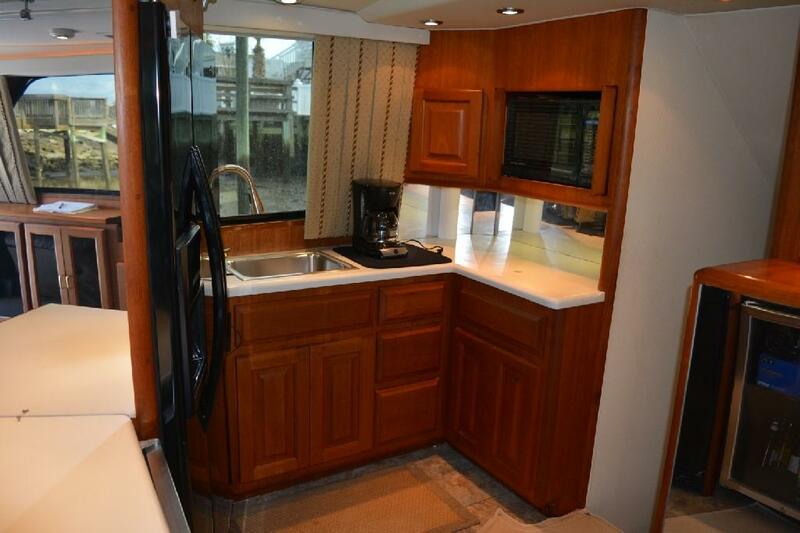 Please check our FULL SPECS for more detail and give us a call to schedule a look at this beautiful Convertible! 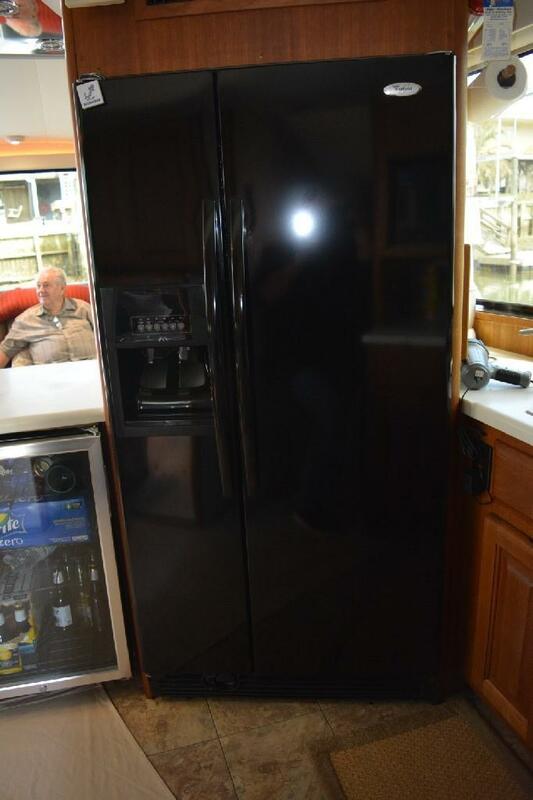 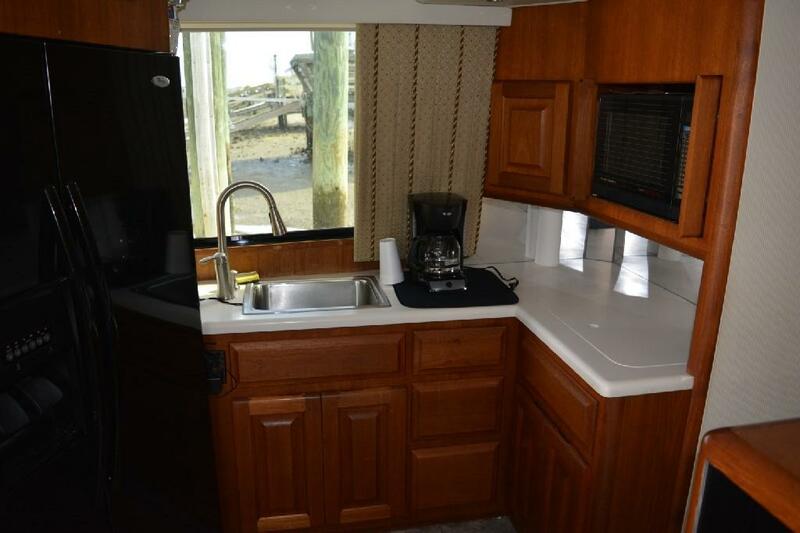 The Galley is up and to port with modern appliances including a full-size refrigerator and freezer. 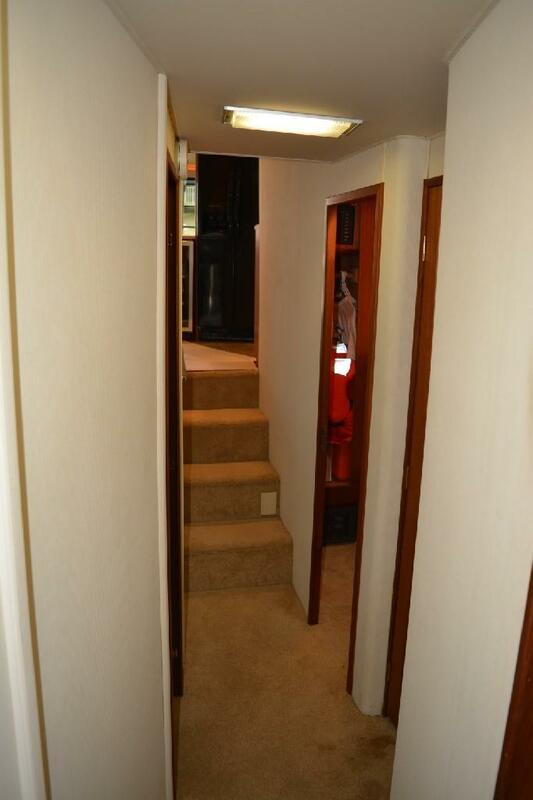 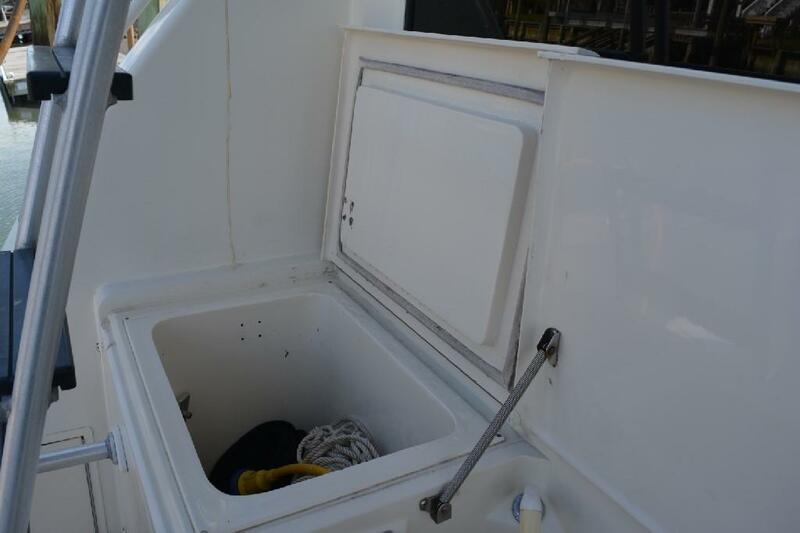 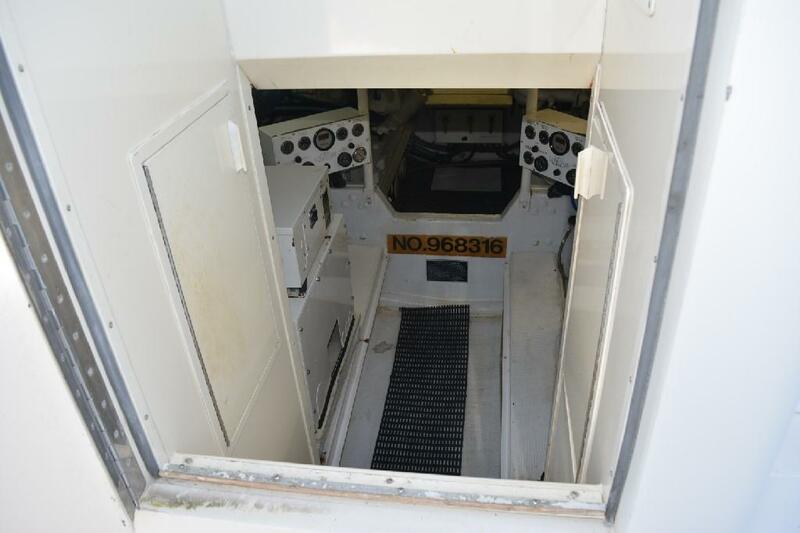 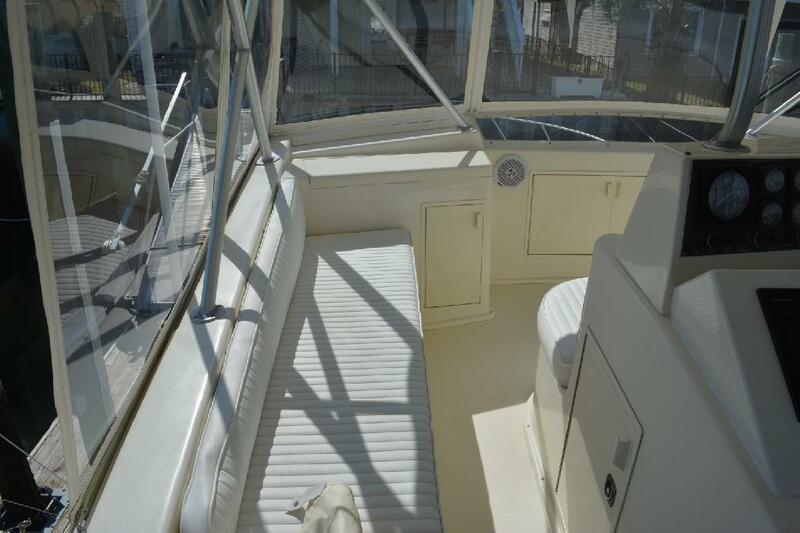 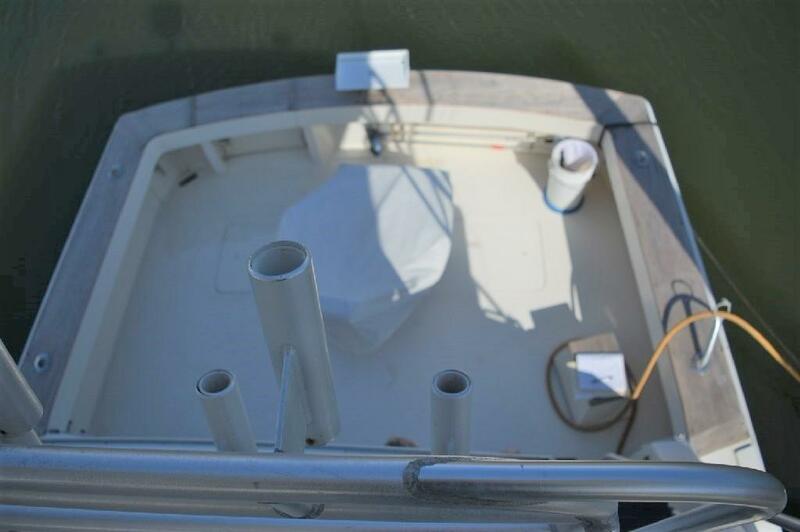 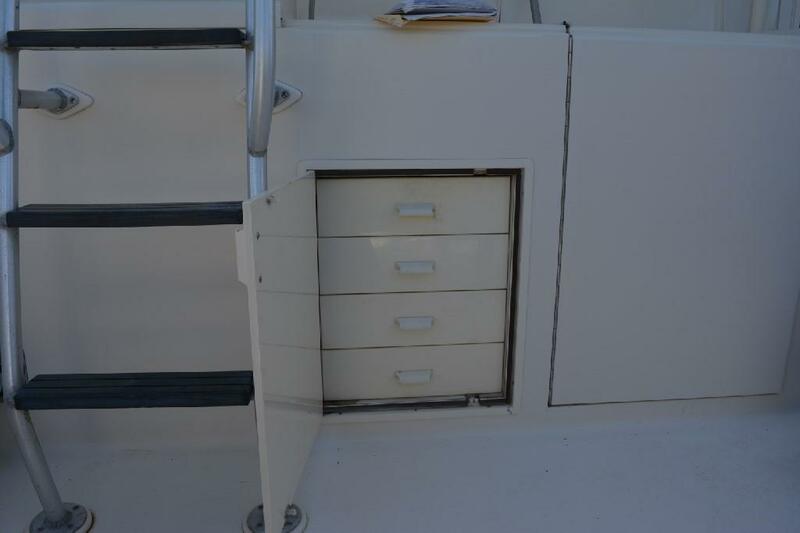 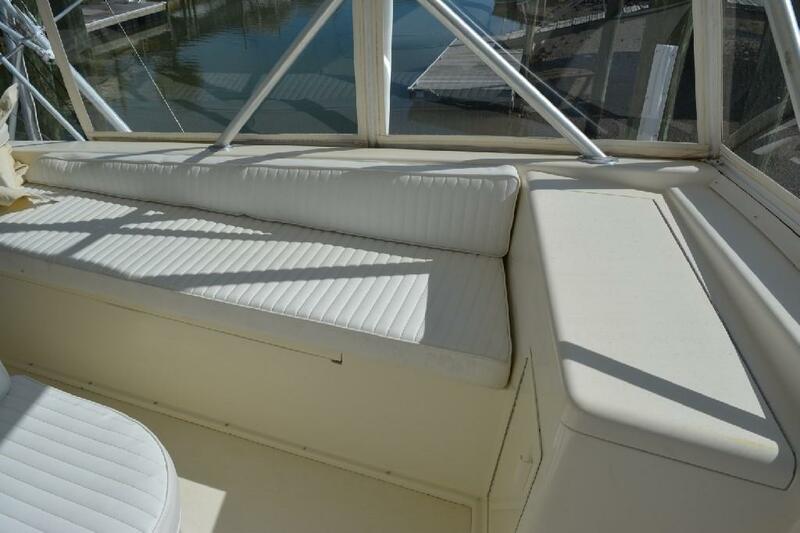 Down three steps from the Galley is a companionway that leads to three staterooms. 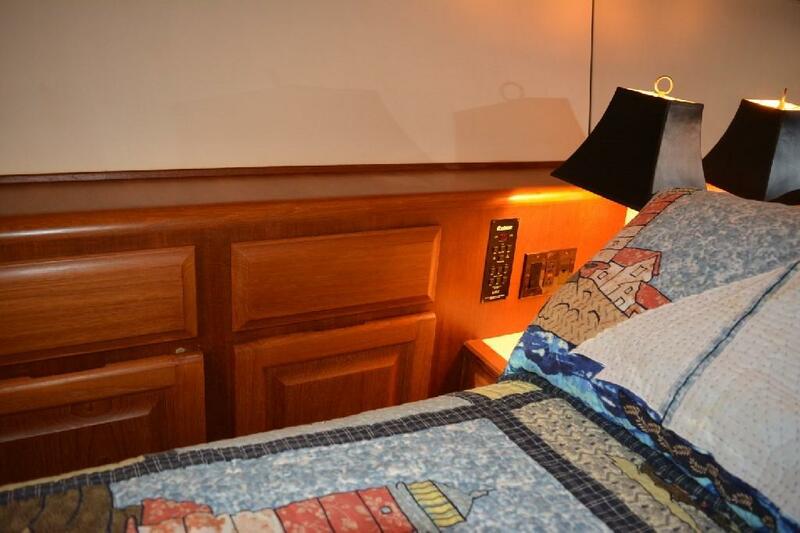 The Master Stateroom is to starboard and features an Island Queen berth, a hanging locker and cabinetry. 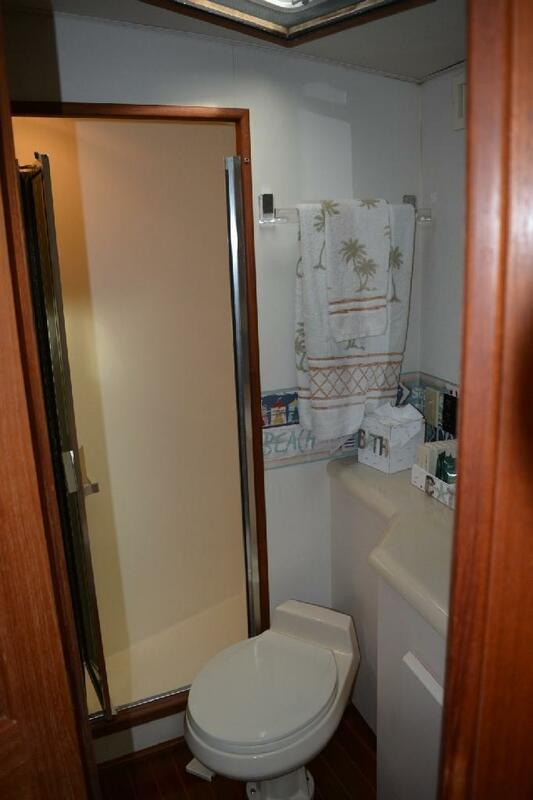 Forward of the Master, through a privacy door is the Master Head with vanity and a Stall Shower. 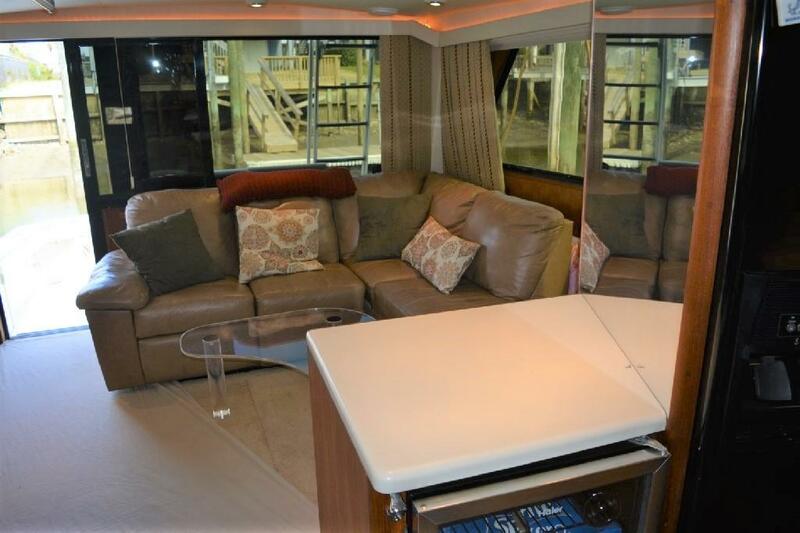 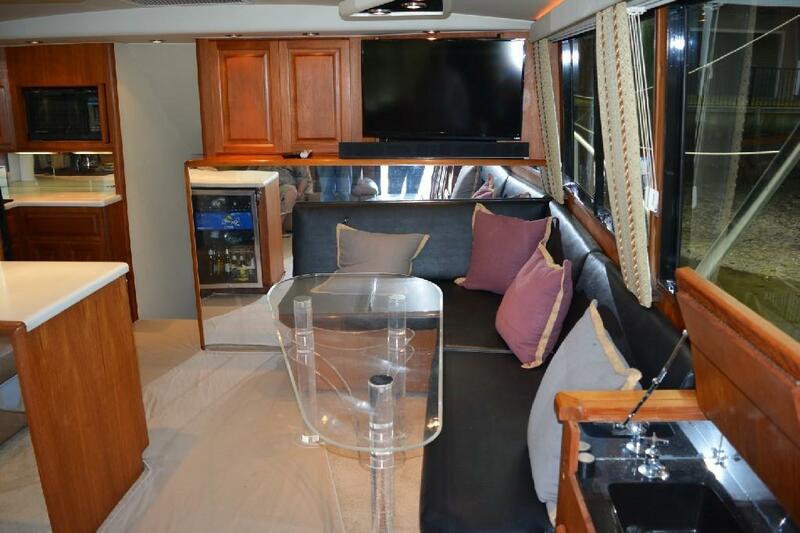 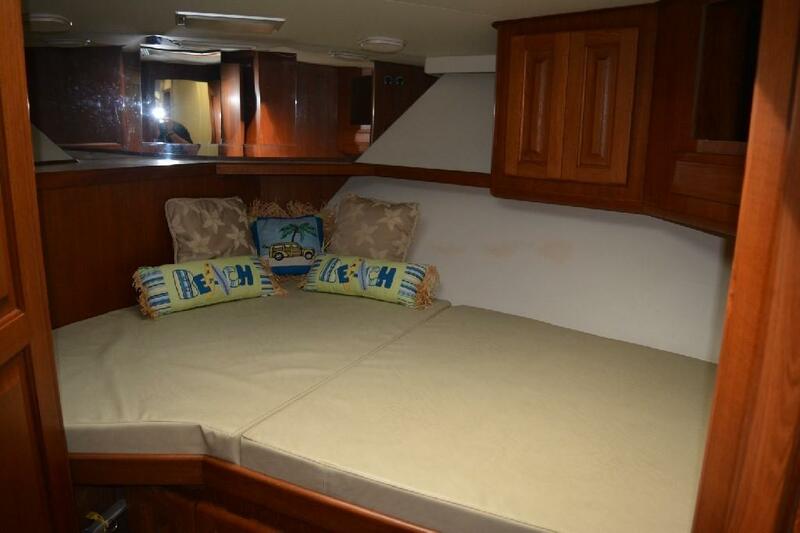 Opposite the Master is a Port Stateroom with Over and Under single berths. 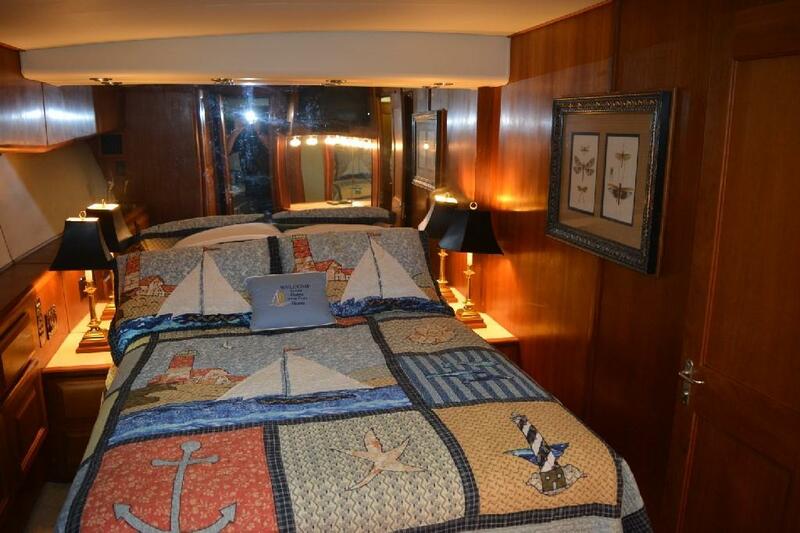 Forward of this stateroom, also to port is a closet with a washer and a dryer (separate units). 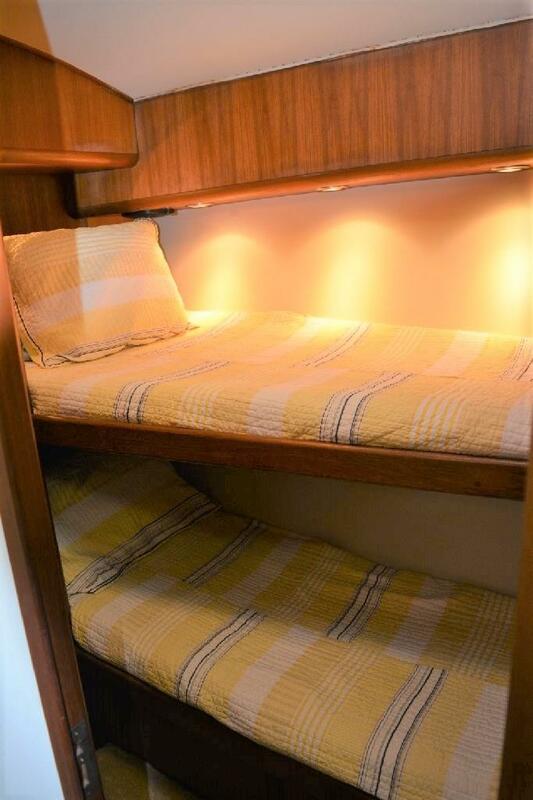 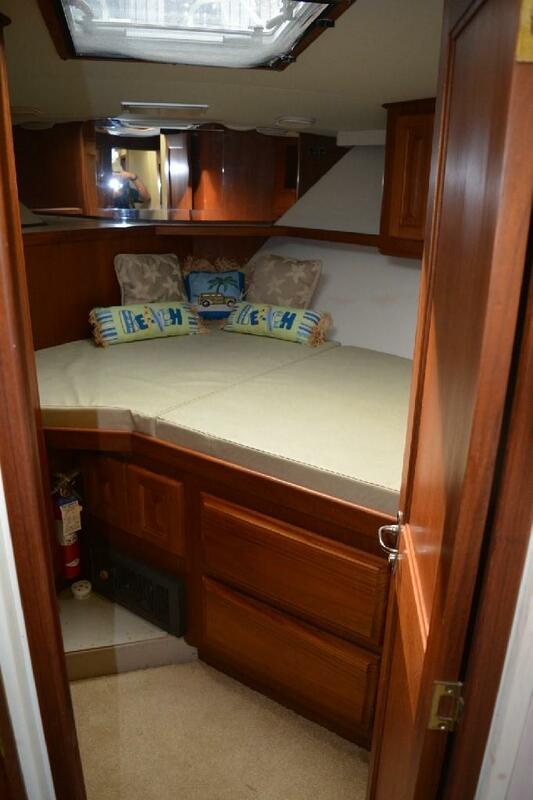 At the end of the companionway forward is the Forward Stateroom with a Double Berth to starboard. 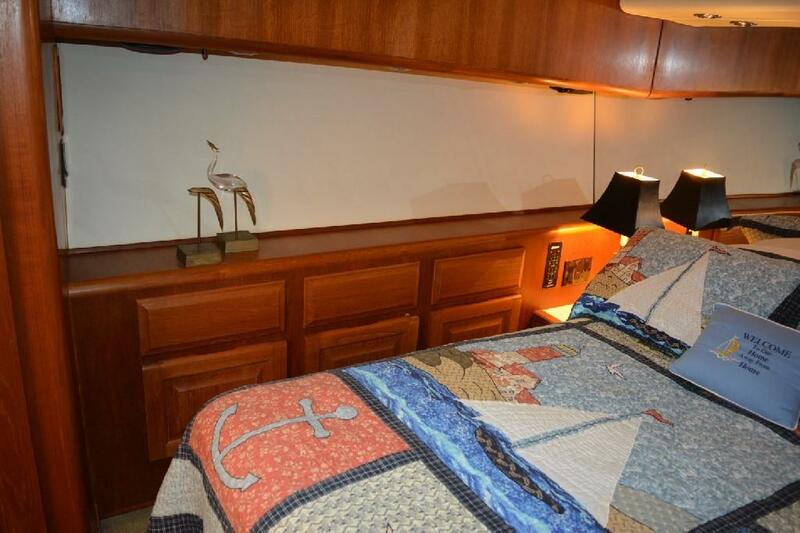 Each stateroom has nice cabinetry work including hanging lockers. 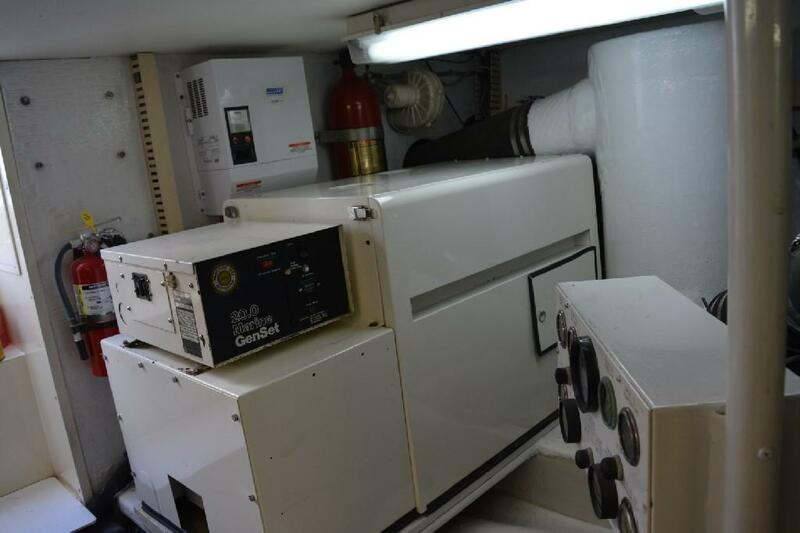 Each stateroom also has an additional electric heater. 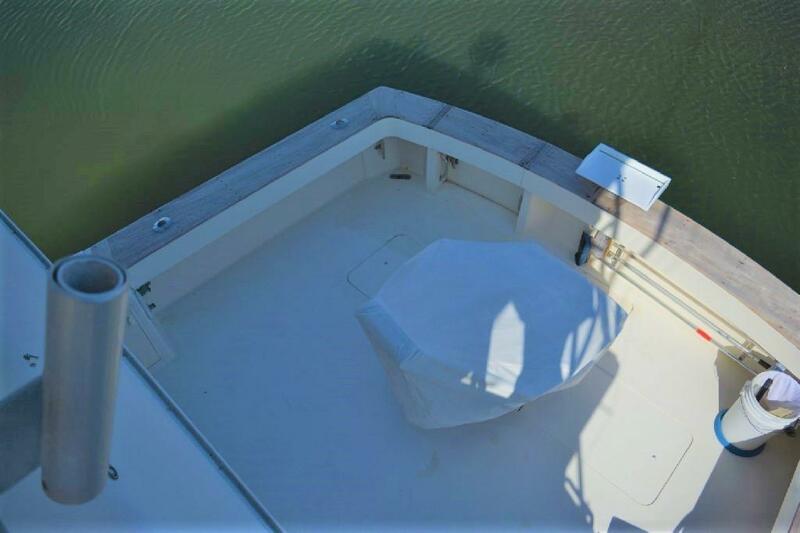 To port and slightly aft of the Forward Stateroom is the Guest Head with an entrance from the companionway as well as a privacy entrance from the Forward Stateroom. 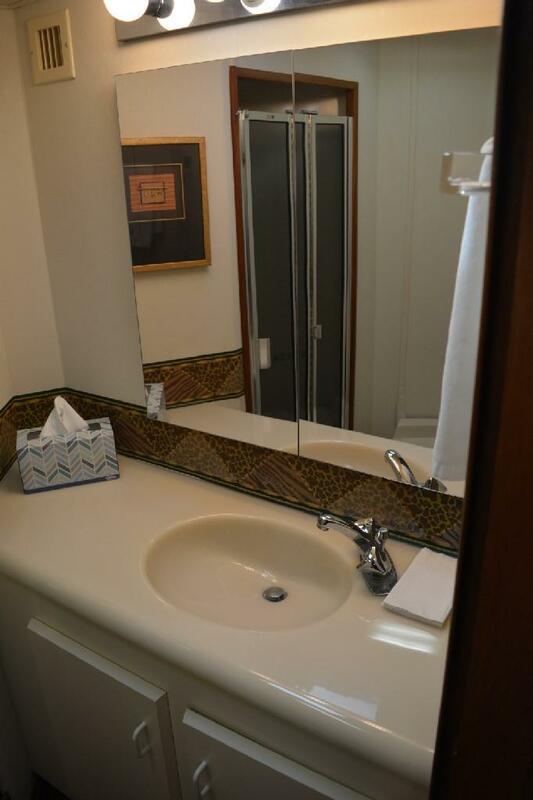 This head also features a stall shower. 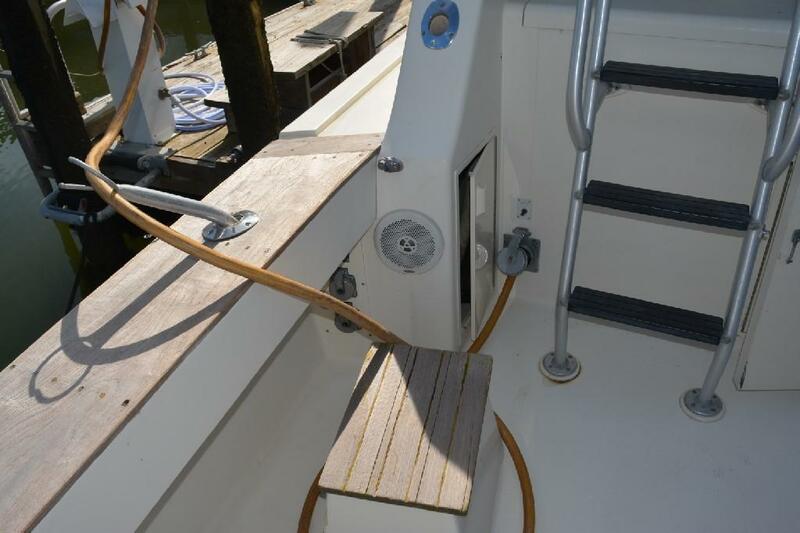 Fuel Lines, Hoses, Clamps, replaced. 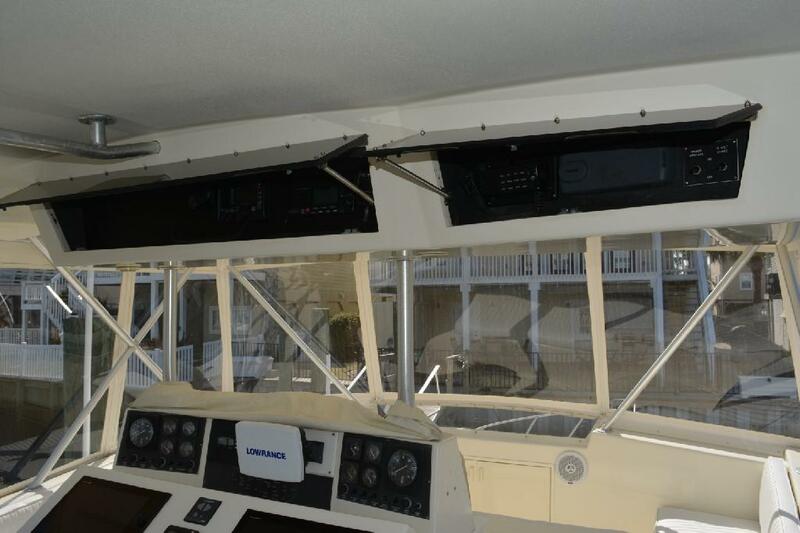 Bonding wires replaced. 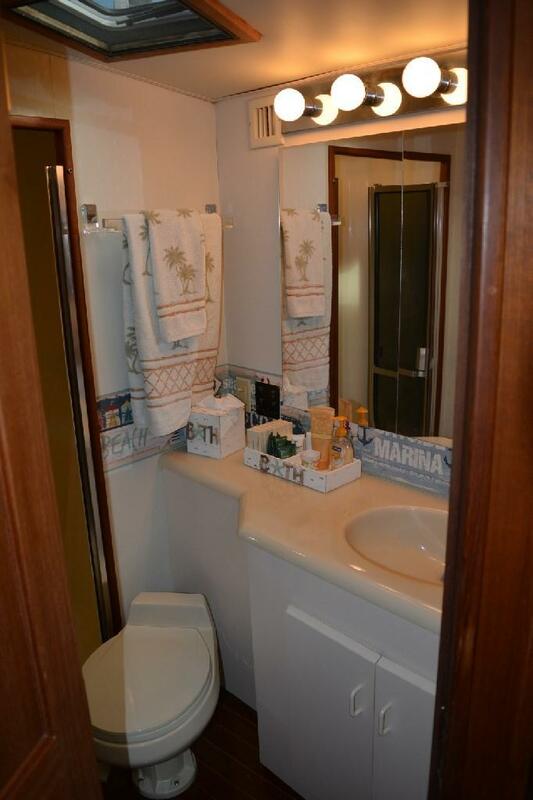 Honesty, Reputation, Long Term Relationships! 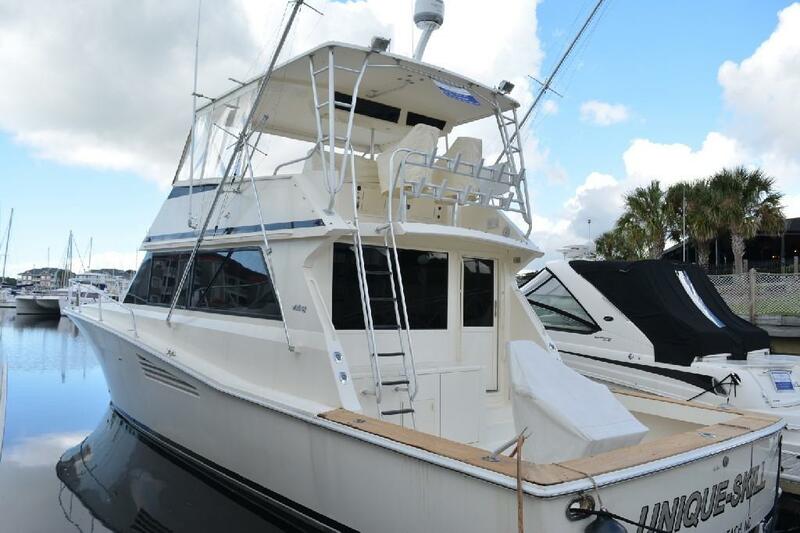 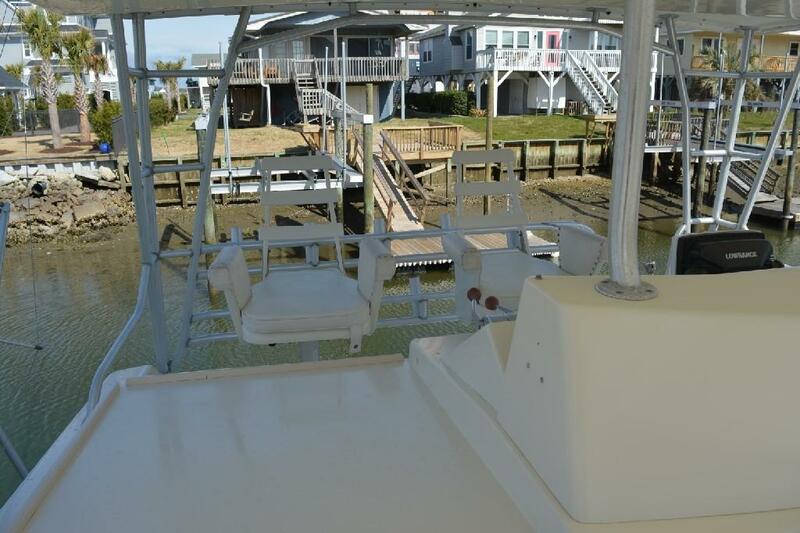 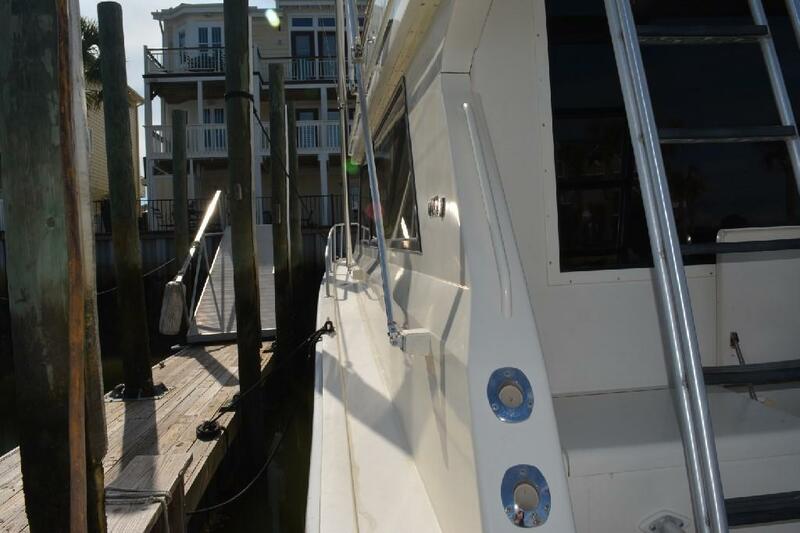 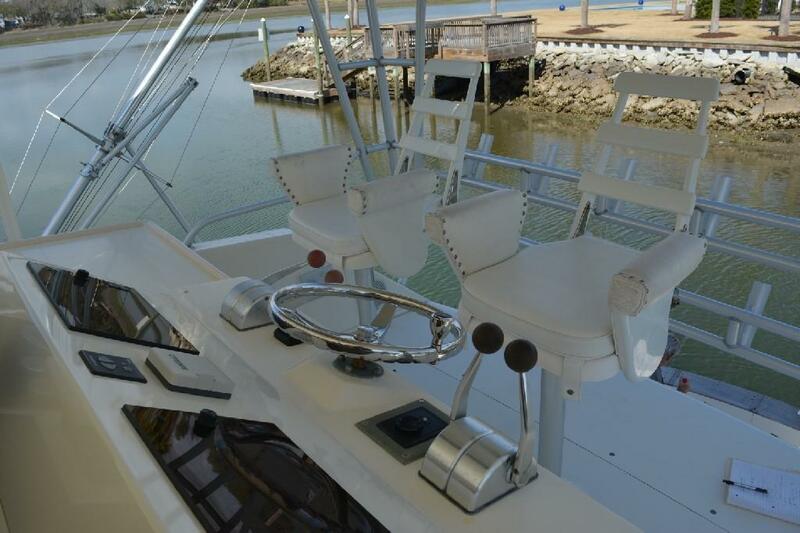 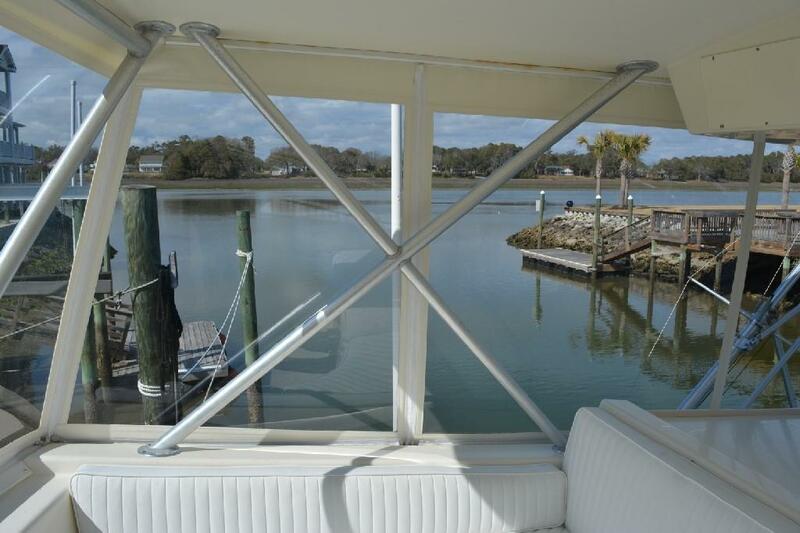 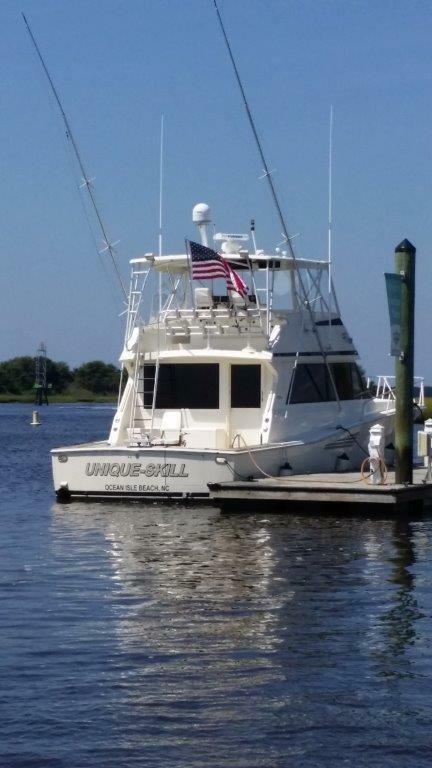 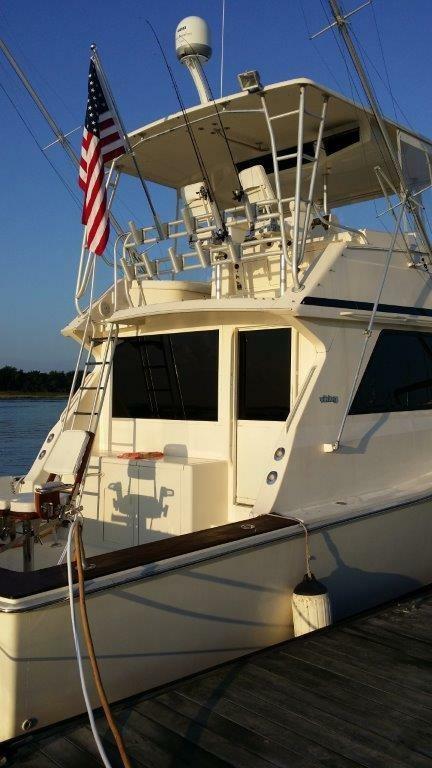 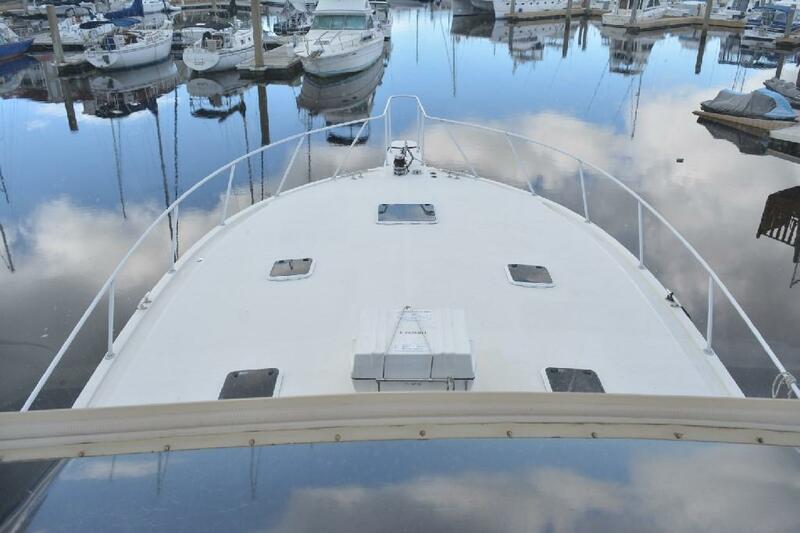 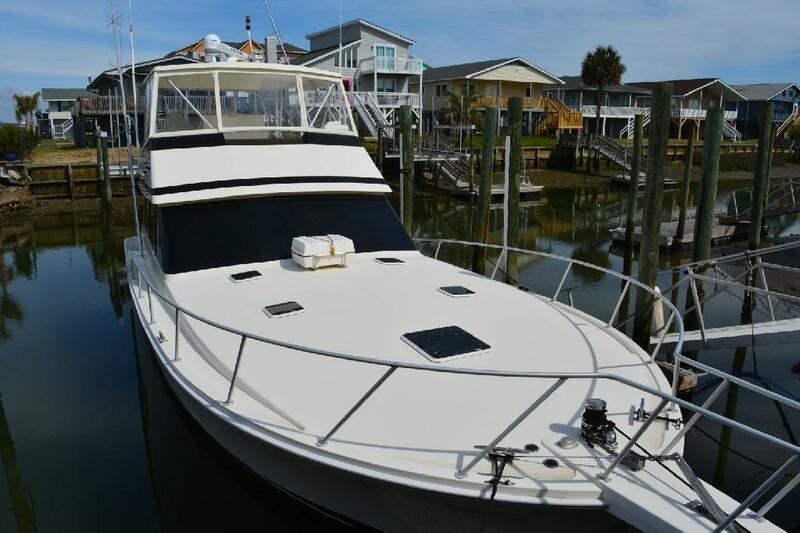 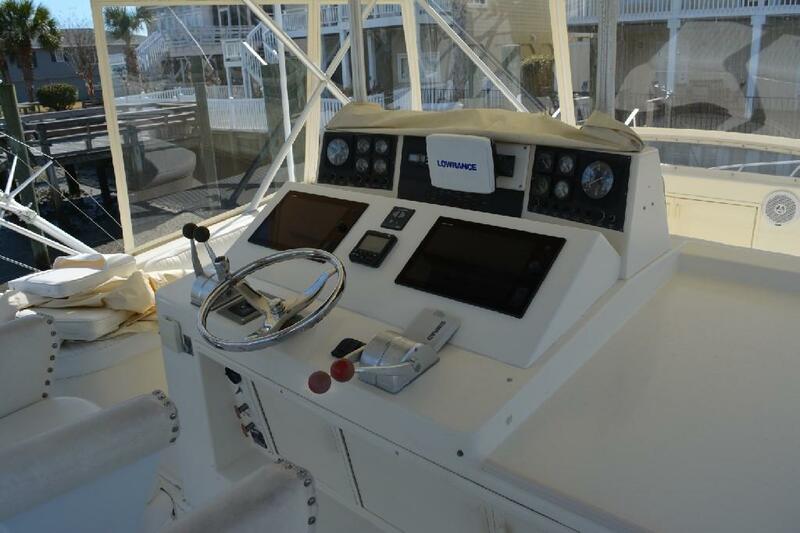 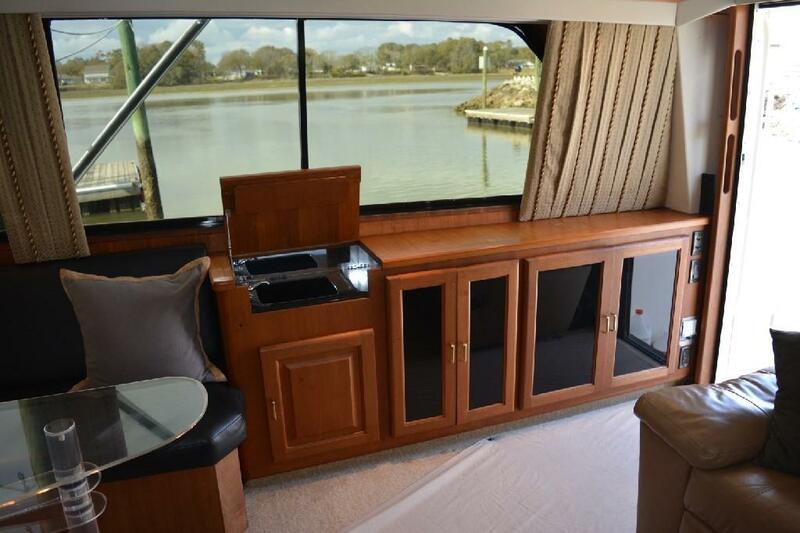 Intracoastal Yacht Sales - Little River is located at Coquina Harbor and the Myrtle Beach Yacht Club. 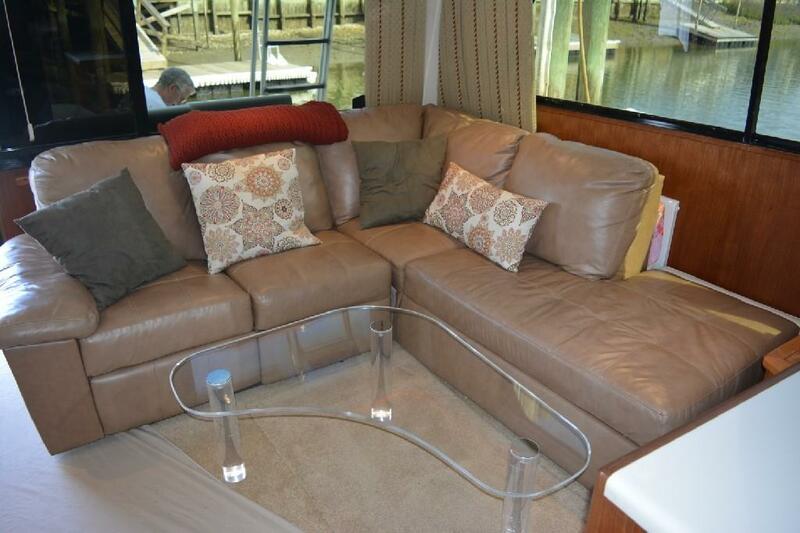 Our personalized service will exceed your expectations, and we will continue to work hard for you after the sale. 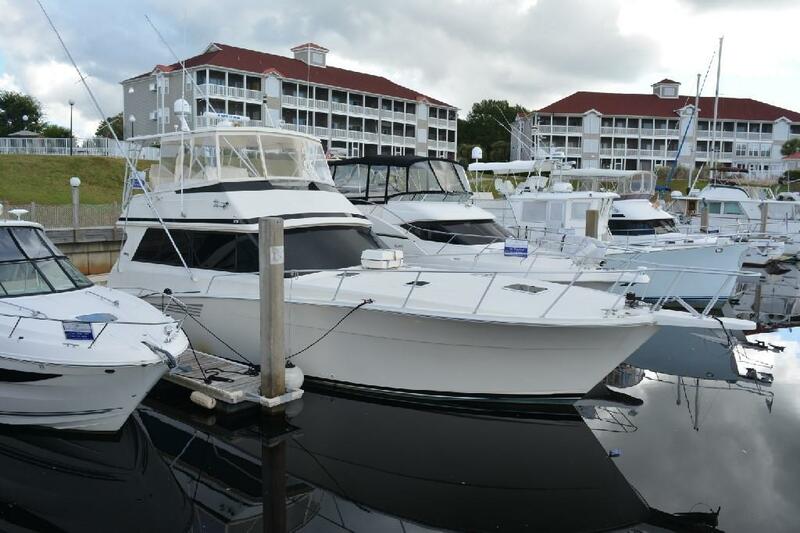 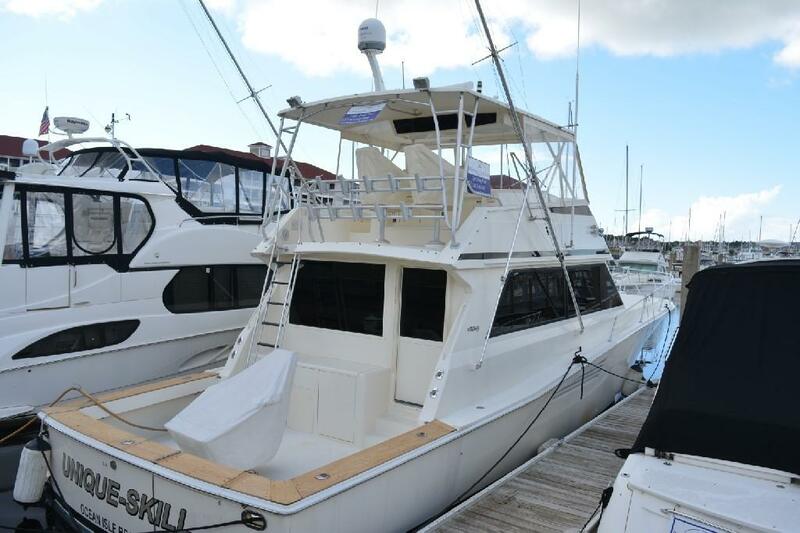 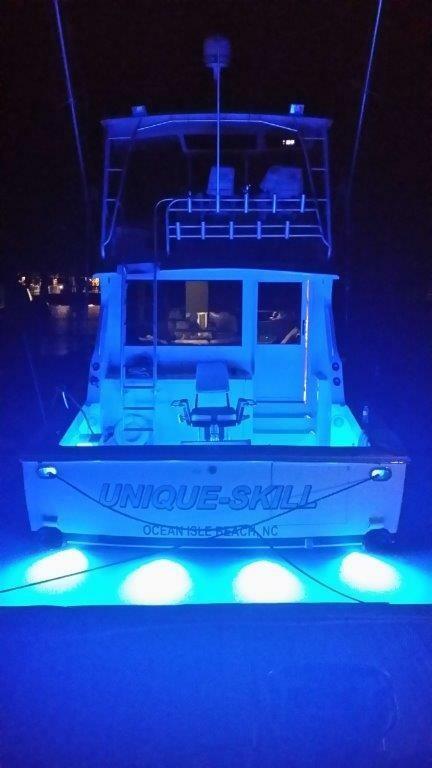 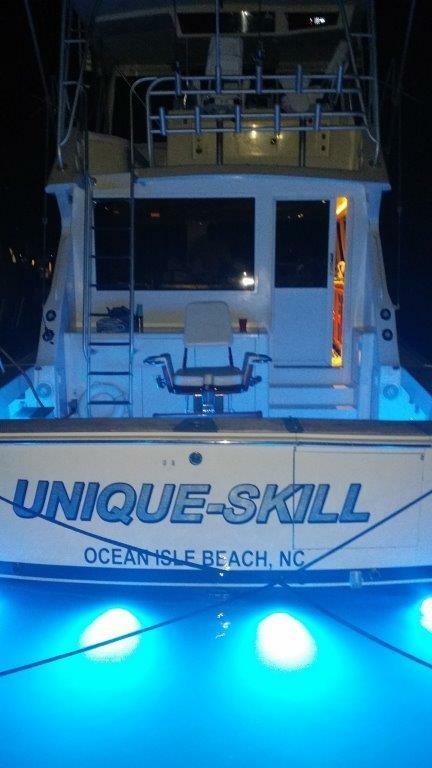 Whether you are buying or selling, let us help you with your boat or yacht!